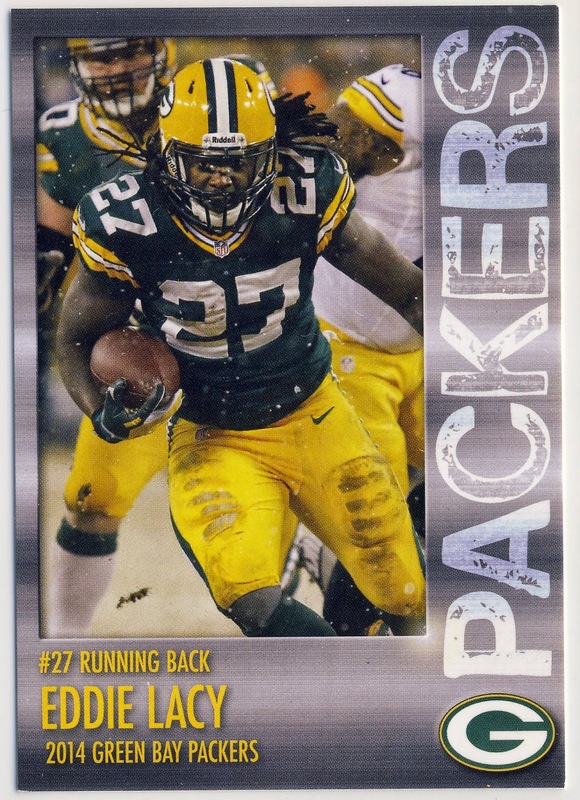 ...and it gives you a chance to get a rarer Eddie Lacy card. 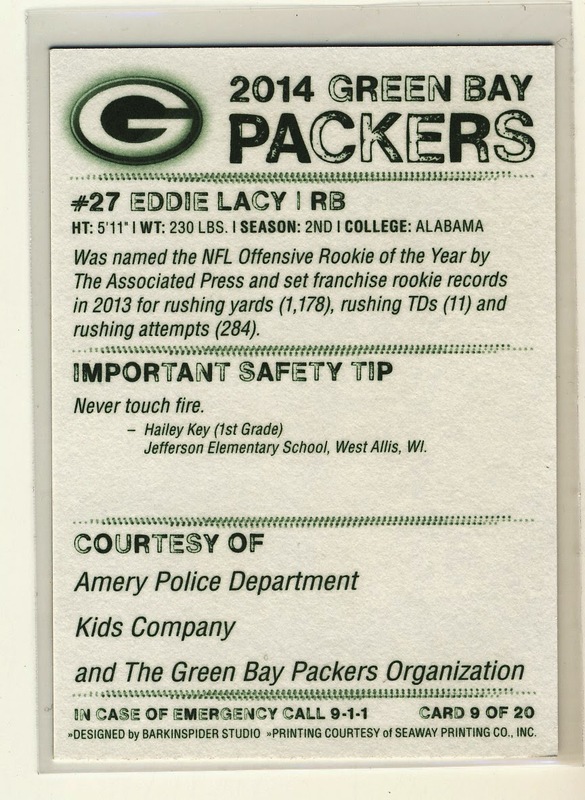 They are called "safety cards" because on the back of each card you get a safety tip from a student around Wisconsin. 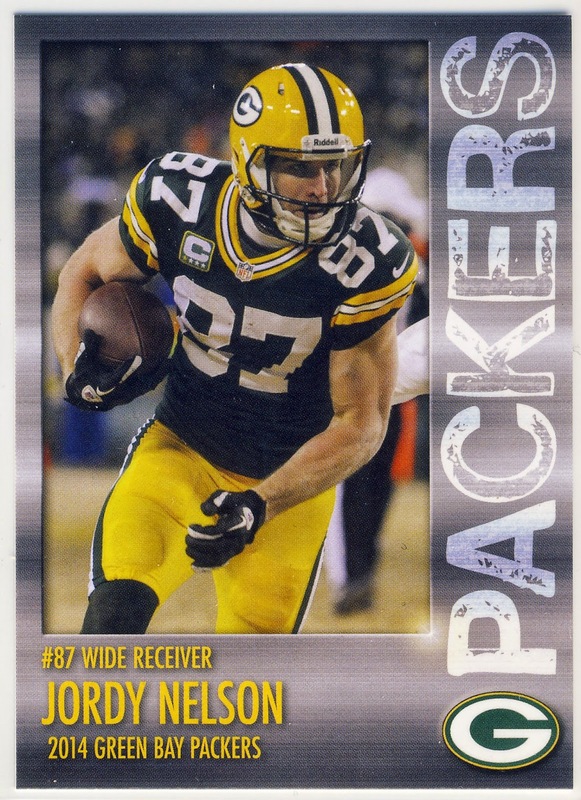 Lacy's card gives us the wise words of Haley who says "never touch fire." 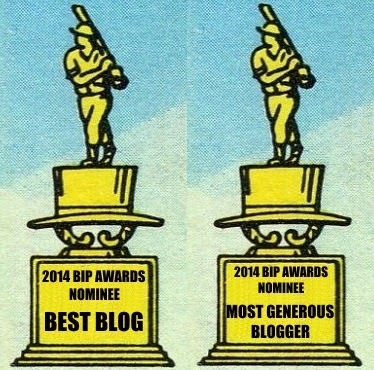 Truer words have never been said. 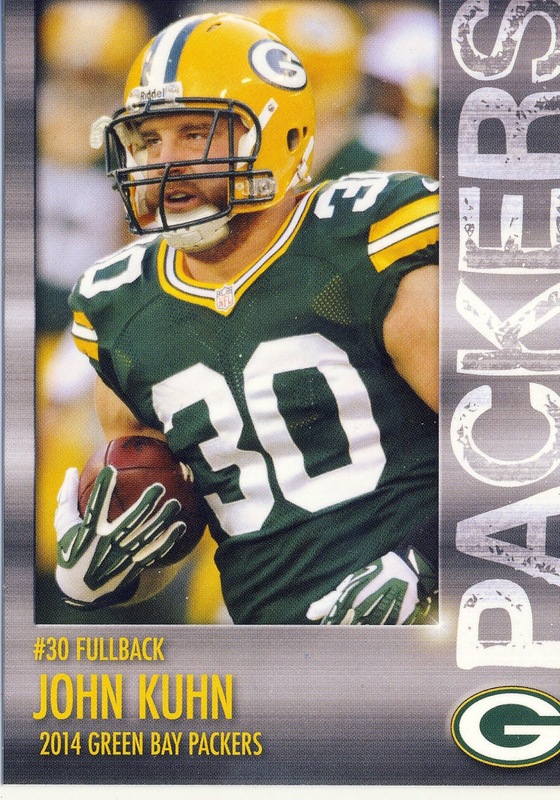 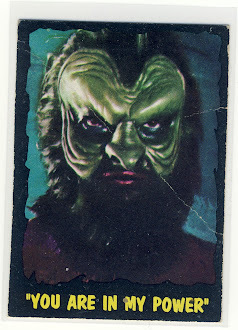 I think this brings the number of different John Kuhn to about 10 [excluding parallels]. 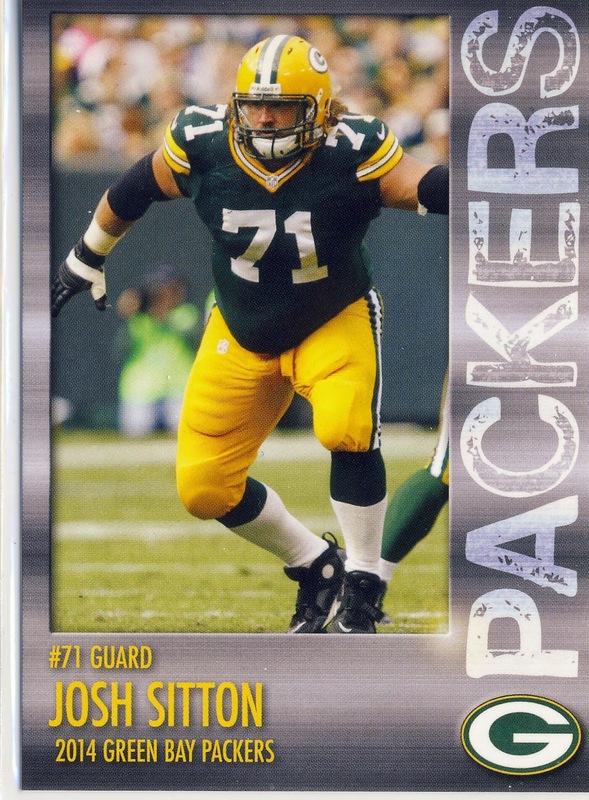 But as I was saying, this set gives me the opportunity to get cards for players like guard Josh Sitton. 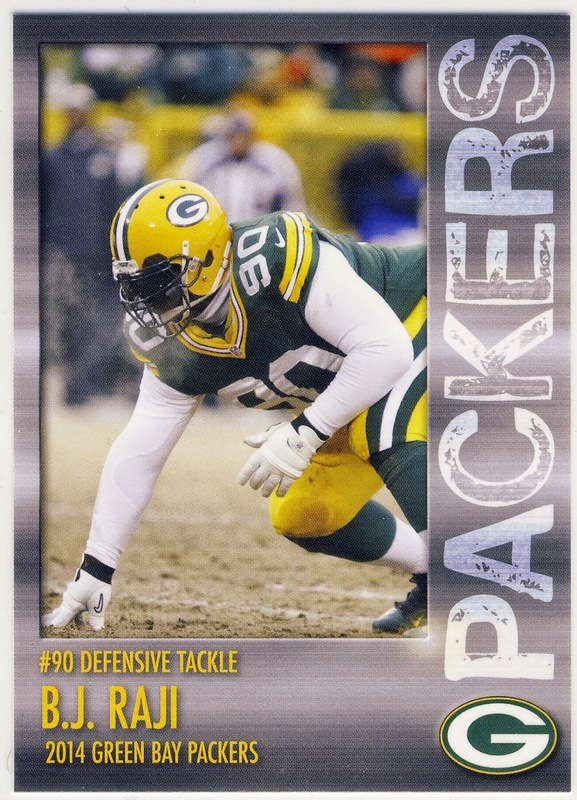 He's a two-time Pro Bowler and in 2010 he was named the Offensive Lineman of the Year by the NFL Alumni Association. 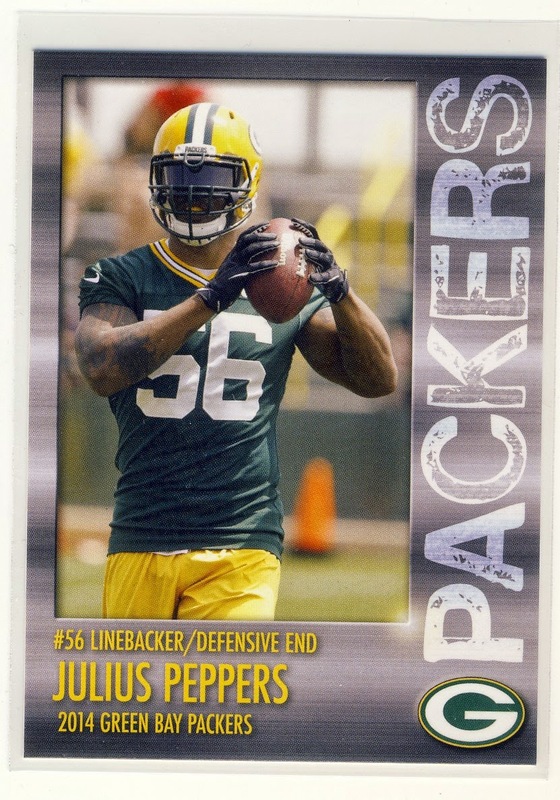 Julius Peppers certainly qualifies as a star but every time I see him in the green and gold it makes me feel warm and fuzzy inside. 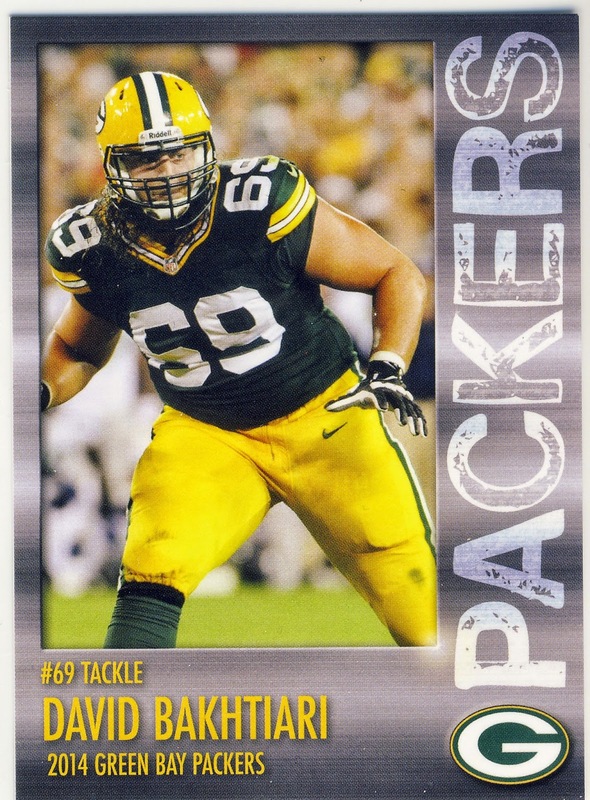 And here is my first ever David Bakhtiari card. 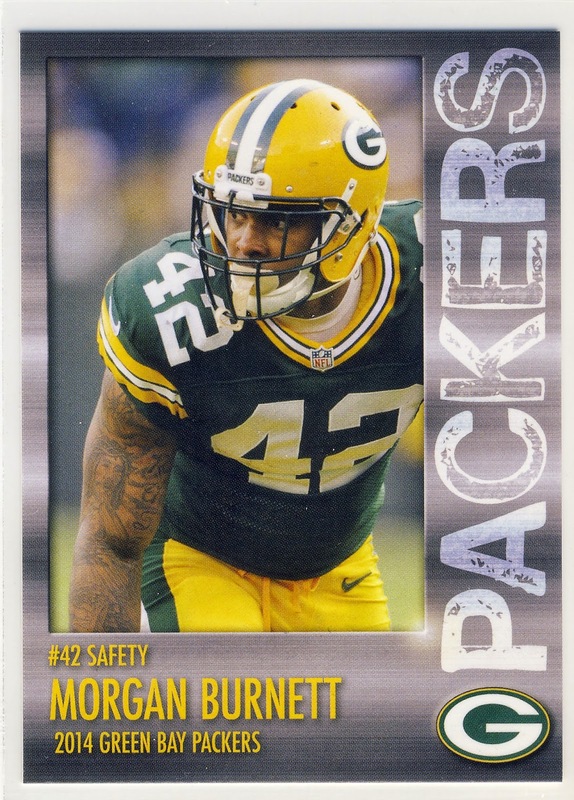 He the starting tackle for the Pack and one of the reasons why Eddie Lacy has holes to run through on the line. 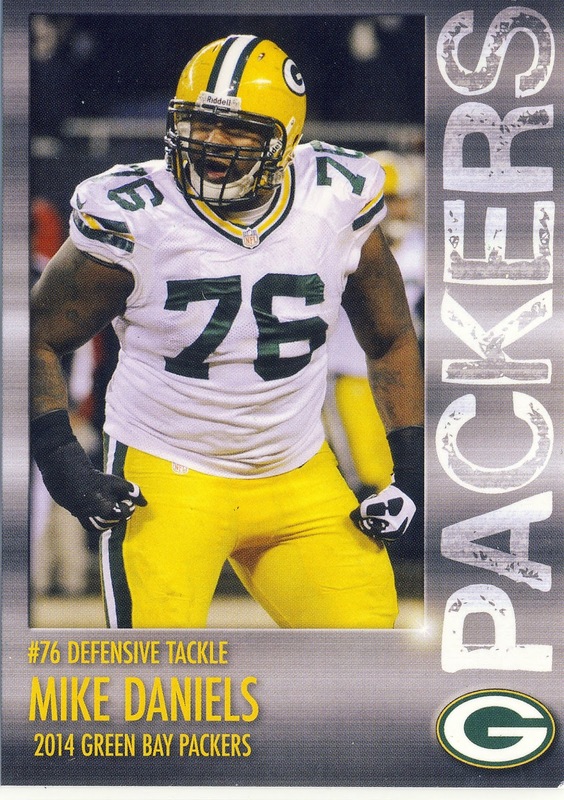 Mike Daniels ended up with 5.5 sacks in the regular season and had half a sack against Tony Romo last week. 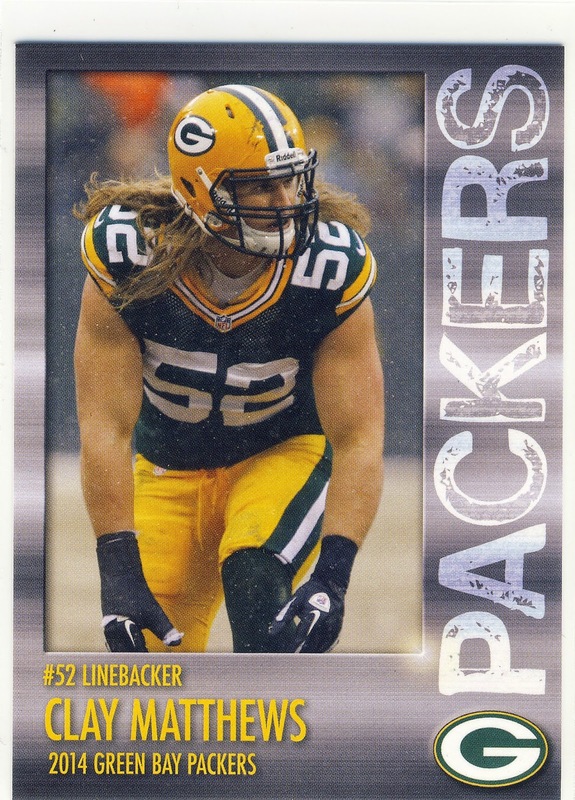 That puts him third on the team behind Clay Matthews and Julius Peppers. 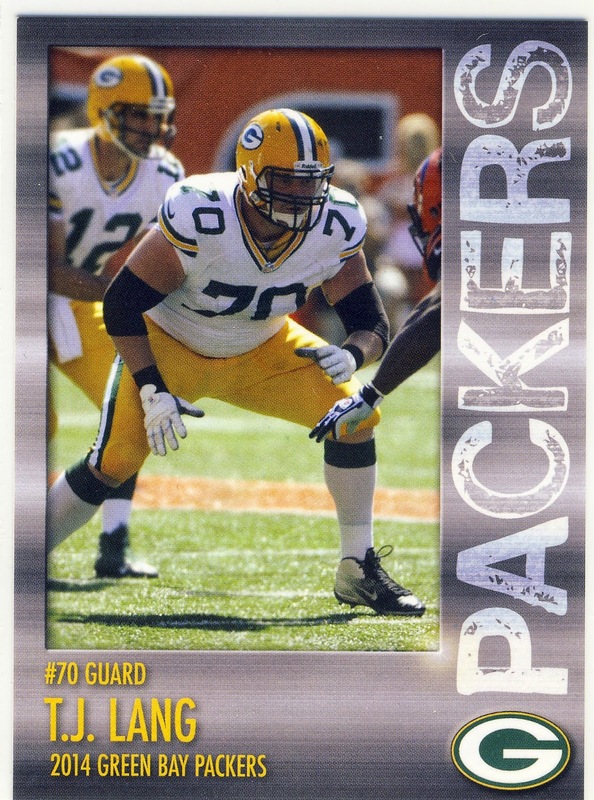 T.J. Lang is definitely one of the most intense players on the Packers and that was certainly evident during the Cowboys game last week. 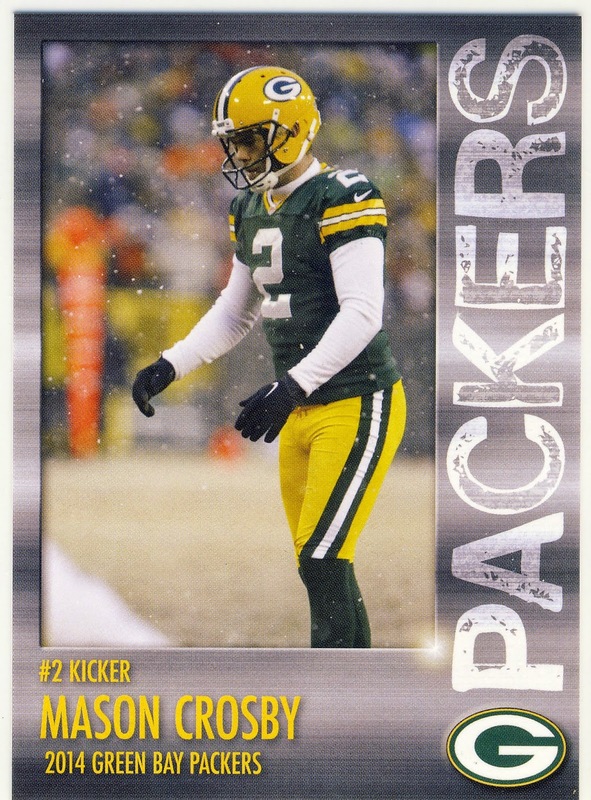 Lang ended up being fined by the NFL for his unnecessary roughness penalty last week. 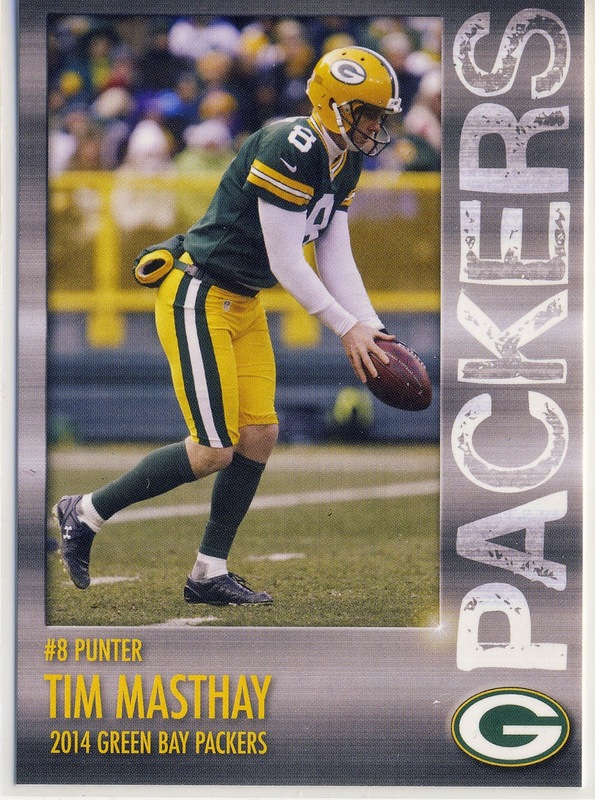 Although Mason Crosby has a rookie autograph card that I've been eying to buy for years, I don't believe there are any Tim Masthay cards outside of the Packers police safety sets. 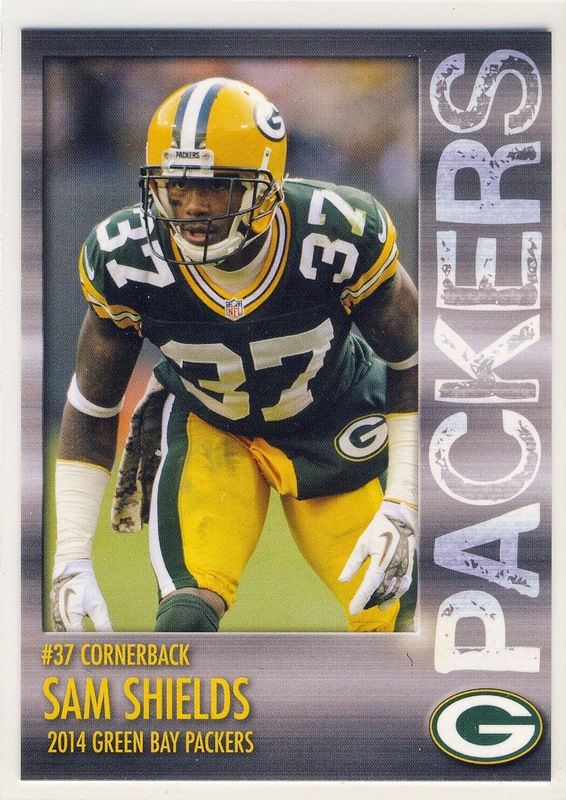 The Seahawks have their Legion of Boom but the Packer's defensive backs Morgan Burnett, Sam Shields, and Tramon Williams have been great as well. 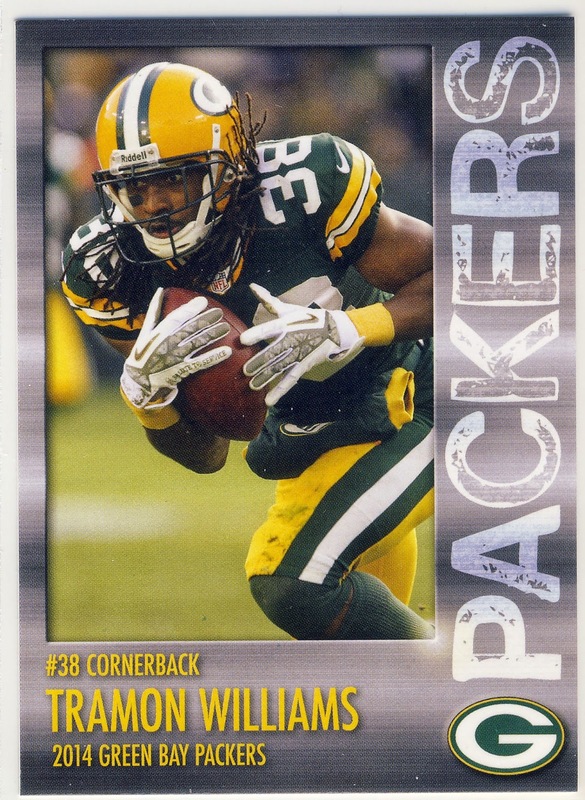 Next year's set will undoubtedly have rookie Ha Ha Clinton-Dix too which will make them that much better. 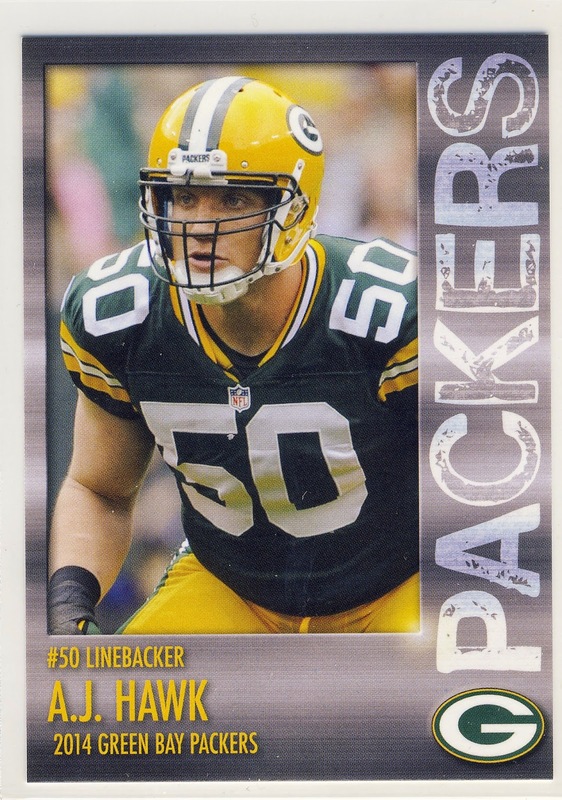 And last but not least we have the Packers coach and general manager. 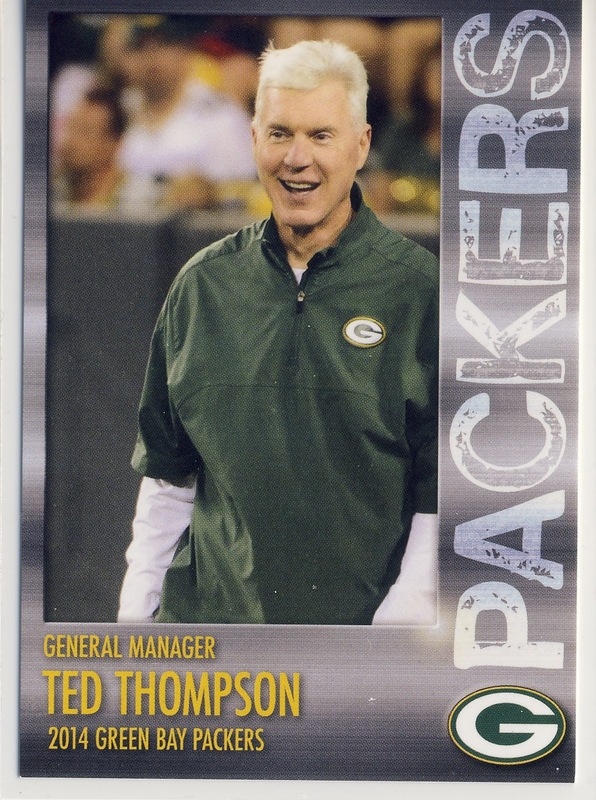 "In Ted We Trust" is certainly a mantra that every Packer fan believes in and earlier this year it was announced that Thompson will be leading the Packers for several more years. 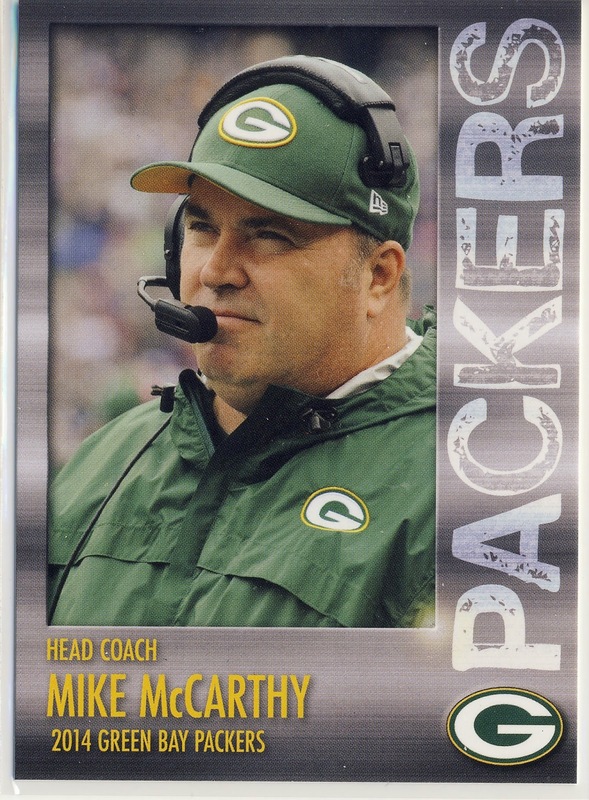 This season McCarthy passed Vince Lombardi on the all-time wins list for the Packers but he is still more than 100 wins behind the record holder Curly Lambeau with 212 wins. 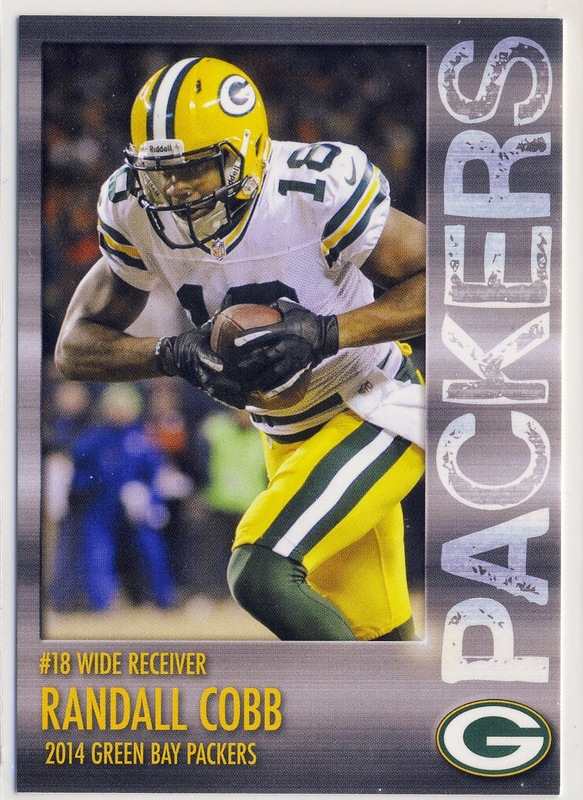 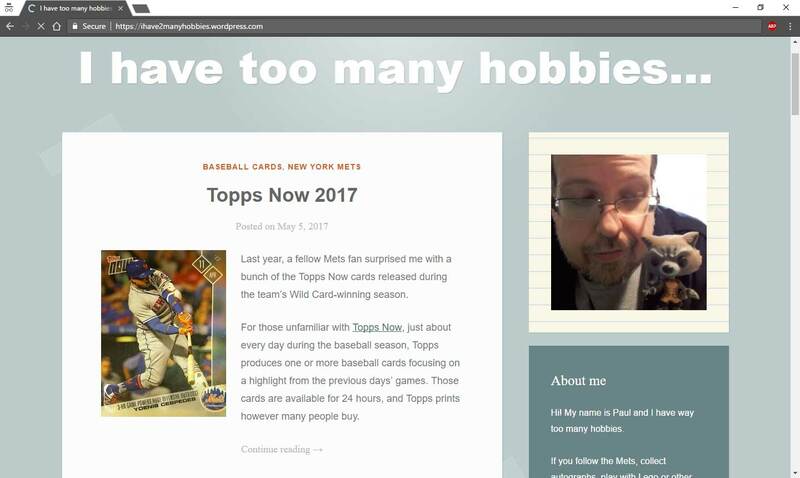 Cool cards! 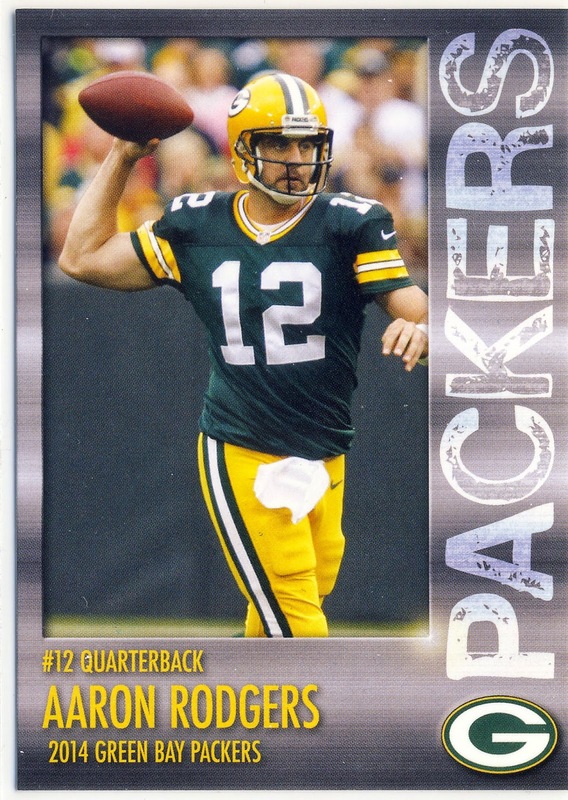 I don't collect football, but those would be on my list if I did.